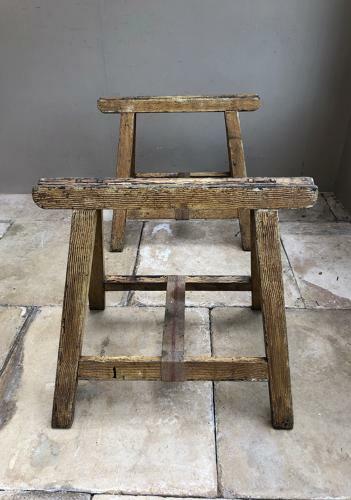 Early 20th Century Pine Low Tressle Bases...in their fantastic original paint...scumble finish. Both in great original condition. The measurements are obviously for just one and fully open. They are just the perfect height to put a piece of glass or wood on and it becomes a superb coffee table. Collection or Courier UK £45 (not including Scotland) or I think I could post them folded flat Parcel Force 48 for £20.